Give cookies in a classic re-usable cookie tin! 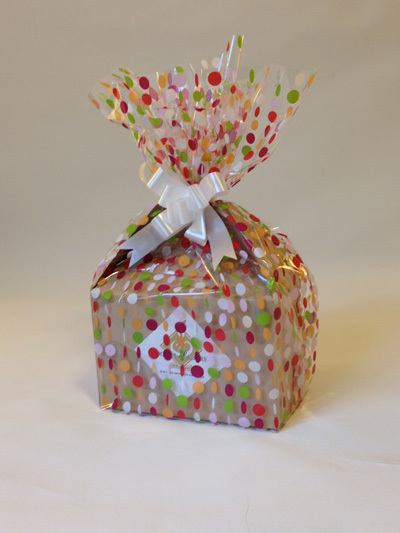 Gift tins come in two sizes and are wrapped in patterned cellophane & topped off with a white bow. Four (4) cellophane patterns to choose from. 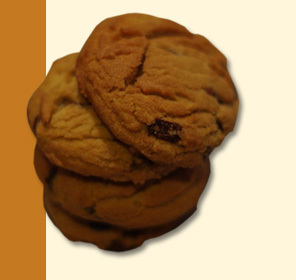 Fill the tins again and again with our fresh-baked cookies! 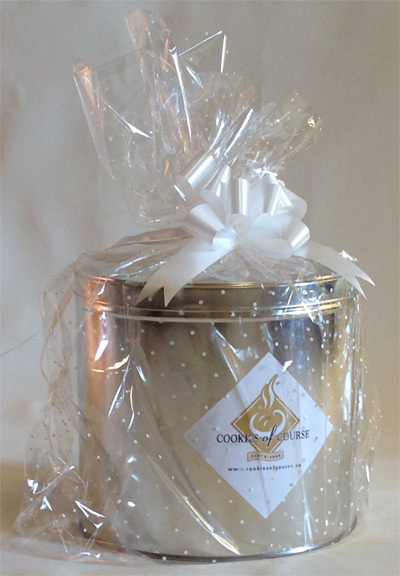 We use these classic white boxes for delivery of our fresh-baked cookies. Retro multi-coloured beads on clear cellophane. Shown wrapped over kraft gift box. White dots on clear cellophane. Shown wrapped over kraft gift box. Black damask on clear cellophane. Shown wrapped over kraft gift box. White and silver snowflakes on clear cellophane. Shown wrapped over kraft gift box. 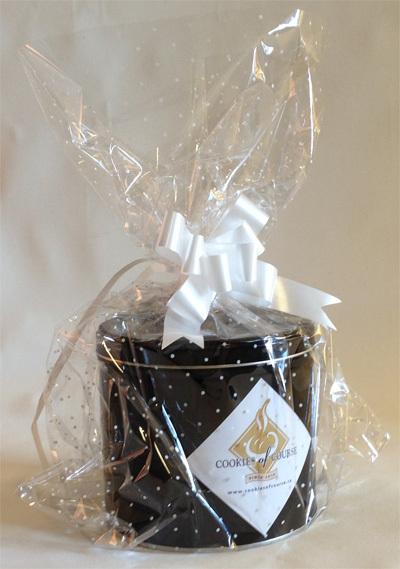 "Thanks so much for the cookies ... they were delicious and a huge hit - they were all gone by the end of the night! 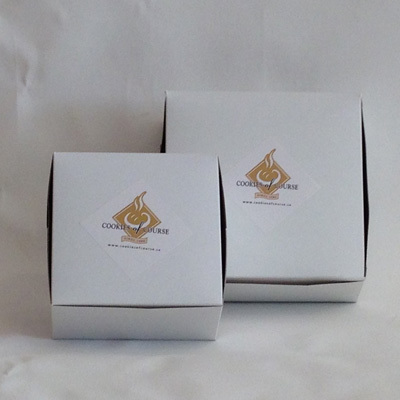 Thanks again, Courtney"
FRESH BAKED COOKIES - Delivered! 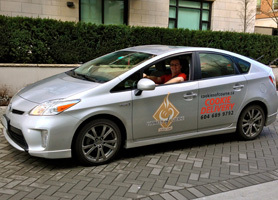 Please phone us at 604-689-9792 about same day, rush and last minute deliveries unless we've already contacted you. Yes, written on the cookie box - FREE! Enter a maximum 160 character text message in the area above - don't forget to add your name!